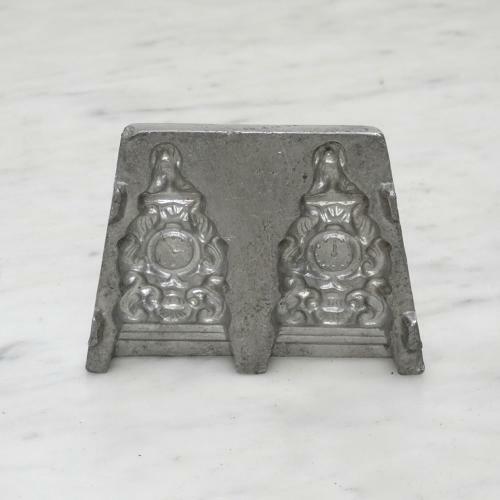 A small pewter sugar mould in the form of two very ornate mantel clocks. This piece dates from c.1880 and it would have been used for making sugar decorations for cakes and suchlike. It is difficult to see from the image but it would turn out fancy clocks, in full form, with spaniels sitting on the top of them. The moulding is very well detailed and the piece is in excellent condition.